Space has been unveiled at Milan Design Week. 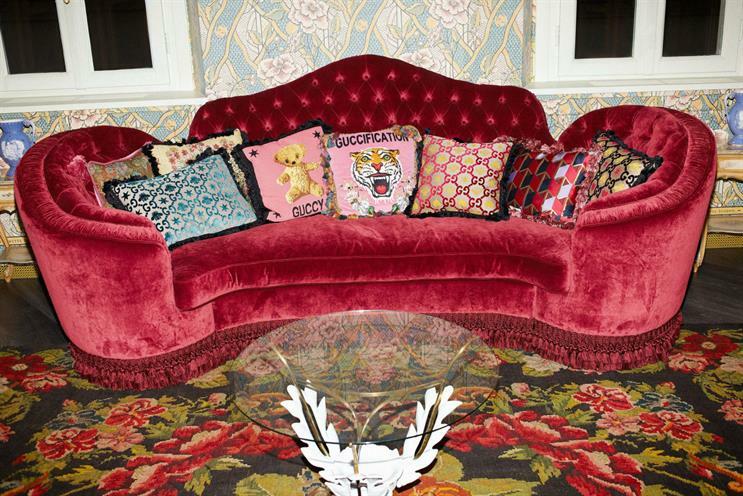 Luxury fashion brand Gucci has created an apartment showcasing the latest products and established pieces from Gucci Décor, its collection of furniture, furnishings and decorative items designed by Alessandro Michele. The two-storey space in Italy, which opened yesterday (10 April) during Milan Design Week, features a range of rooms including lounge areas, a salon and a dining room. Gucci has also created an augmented-reality app enabling users to see what pieces from Gucci Décor will look like in their own spaces. Users can navigate locations on a map to view items from the collection at famous sights across Milan, including Piazza del Duomo and Piazza degli Affari. The items appear together in the form of a virtual sculpture, with a story on the piece and location. The apartment is located at Via San Spirito and will stay open until June.